In the movie “The Descendants” the main character, Matt King, must explain to family and friends that his wife Elizabeth made an end-of-life decision by way of an Advance Health Care Directive and, because she was determined not to be kept alive in a persistent vegetative state, the doctors will withdraw life-sustaining treatment. Matt shares the advance directive with his father-in-law, whose response was “this is like reading Korean.” Matt’s 10-year-old daughter Scottie didn’t read the advance directive, but she remembered her mom stating: “Racing or competing. I’ve heard her say, ‘I’m going out with a bang.’” And that is exactly what happened: a speedboat accident. The end-of-life decision document written by legislators as a “one size fits all check the box” is anything but clear with regard to intention and could very well be written in a foreign language. Every family has its own unique culture and identity which is reflected in the language they speak to one another. Making an estate plan that clearly documents intention helps surviving family members avoid fighting; especially in court. Yet lawyers will write the estate plan for exactly that purpose — writing as if it were going to be fought over in court. I call this legalese legal dis-ease. 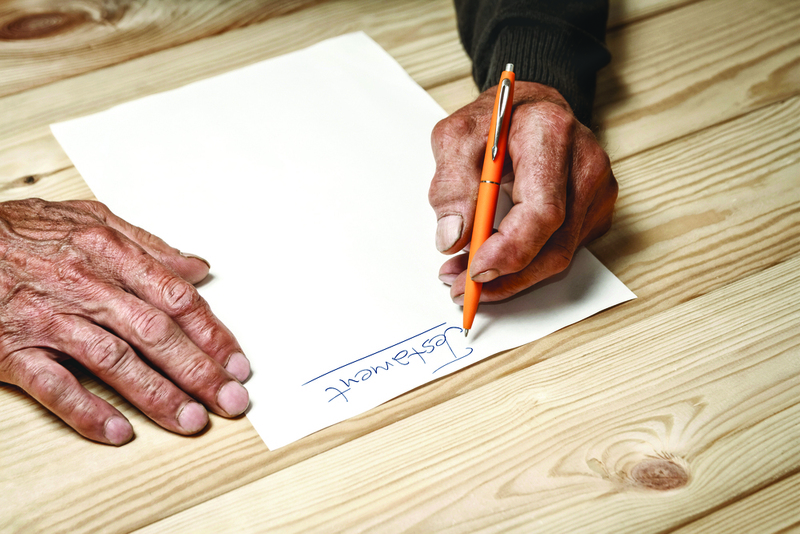 Write your intentions down in your own hand-writing for inclusion in your estate plan so that you don’t risk miscommunication or misunderstanding among surviving family members.